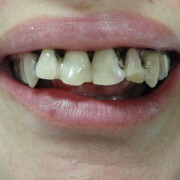 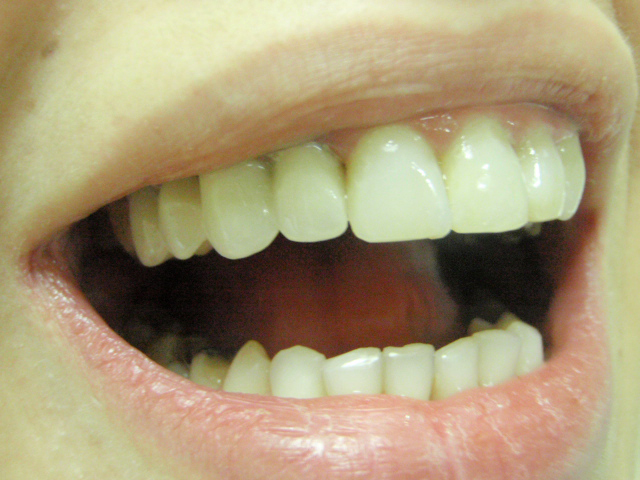 This is a 24-year-old patient who had been seeing another colleague for 4 months and her condition after that period can be seen on the first dental photo. 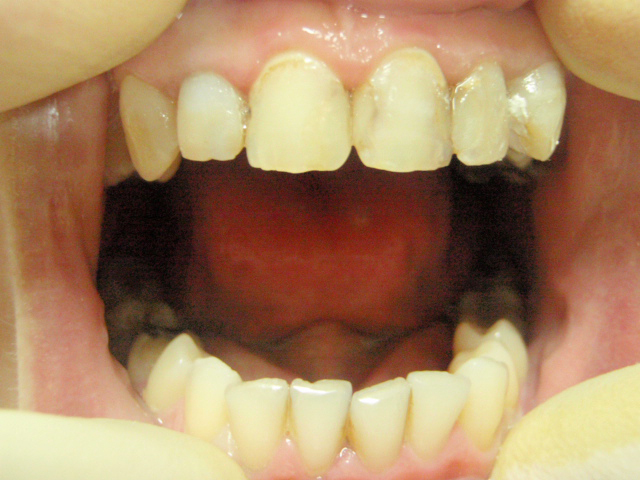 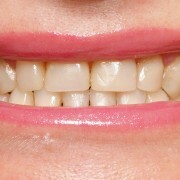 The treatment we provided included whitening, composite facets on the first upper teeth and second upper left tooth, as well as metal ceramics on the third upper left tooth. 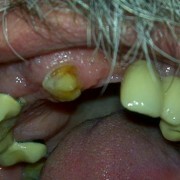 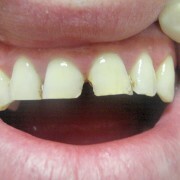 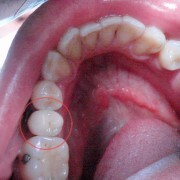 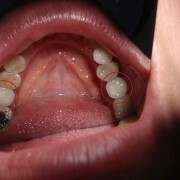 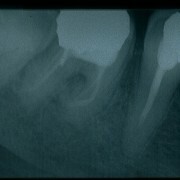 The fourth upper right tooth had been extracted so we remedied the defect with a metal ceramics bridge.